It’s always a great day for a Canadian Tuxedo. Just thought I’d share that I’m wearing a Canadian Tuxedo today… Denim on denim. And, I’m loving it. Also, I just stood up in the middle of Starbucks to take this picture. Let this be a warning to you — blogging is a very quick downhill slope to shameless public picture-taking. 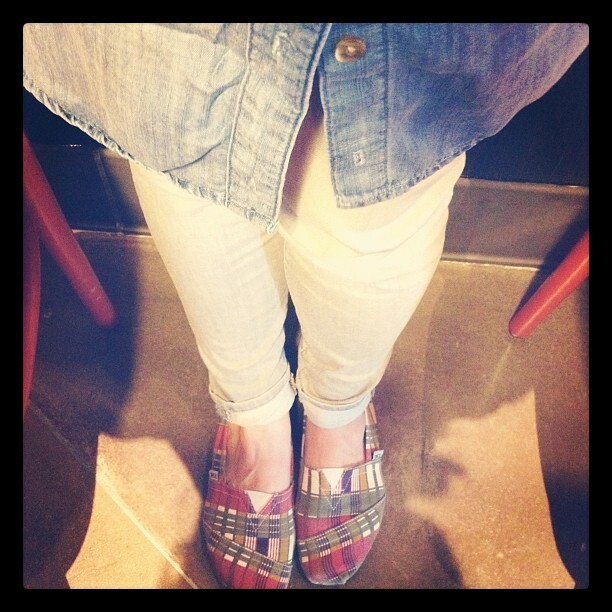 This entry was posted on Saturday, April 14th, 2012 at 12:47 pm	and tagged with Canadian Tuxedo, Denim, Denim on Denim, double denim, Fashion, Starbucks and posted in Fashion. You can follow any responses to this entry through the RSS 2.0 feed.